This evening exploration will take you to the best views and hidden locations. Visit three famous San Francisco Neighborhoods: North Beach Little Italy, Chinatown, Fisherman’s Wharf & the Embarcadero. Experience our most challenging route! 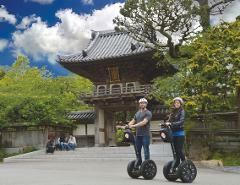 This Advanced Segway Tour is for guests who have had previous experience riding a Segway, who want to see a little more, and who want to test the machine a little further. This interactive evening exploration will take you to the best San Francisco Haunts. Visit three famous San Francisco Neighborhoods and encounter the ghosts of San Francisco's past . 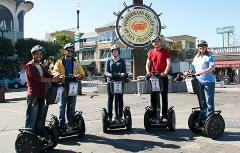 This Segway Mini tour is the most sensational way to see the City by the Bay in 1.5 hours! A fully guided and narrated experience takes you on a memorable and fun filled tour along San Francisco’s picturesque Wharf and waterfront. 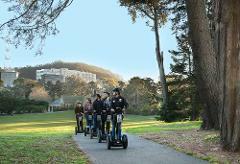 This Segway Mini tour is the most sensational way to see Golden Gate Park in 1.5 hours! A fully guided and narrated experience takes you on a memorable and fun filled tour through this 1000+ acre park. 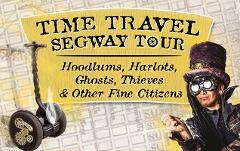 A San Francisco Segway Tour is a gift they will always remember. 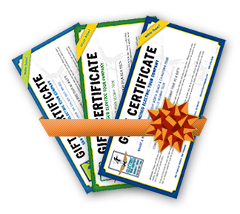 Your gift recipient will love gliding through the Waterfront, Chinatown, or Golden Gate Park on a Segway Human Transporter. 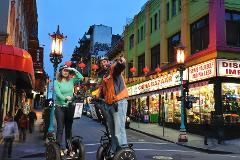 A San Francisco Segway Tour is a gift they will always remember. 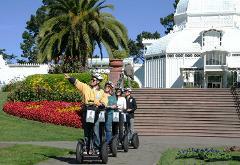 Your gift recipient will love gliding through the Waterfront or Golden Gate Park on this 1.5 hour Mini Segway Tour! With a Private Tour you get a personal tour guide for your party, one on one training, extended routes and more stops. Relax and tour at your own pace. 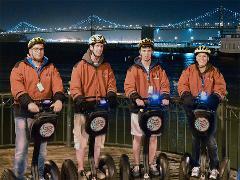 This Electric Scooter Tour is the newest way to see the City by the Bay in 1.5 hours! A fully guided and narrated experience takes you on a memorable and fun filled tour along the waterfront to the base of the Golden Gate Bridge. 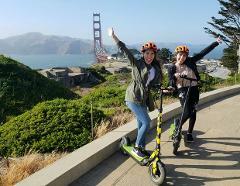 This one-of-a-kind fully guided and narrated experience takes you on a memorable and fun filled Electric Scooter tour along San Francisco’s picturesque waterfront and to the Golden Gate Bridge. 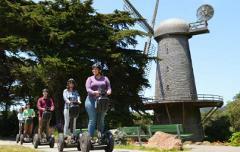 This Electric Scooter Tour is the newest way to see the Golden Gate Park in 1.5 hours! A fully guided and narrated experience takes you on a memorable and fun filled tour through this 1000+ acre park. This one-of-a-kind fully guided and narrated experience takes you on a memorable and fun filled Electric Scooter tour through this 1000+ acre park! A San Francisco Scooter Tour is a gift they will always remember. 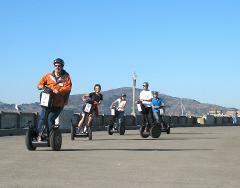 Your gift recipient will love gliding through the Waterfront or Golden Gate Park on a fun Electric Scooter!